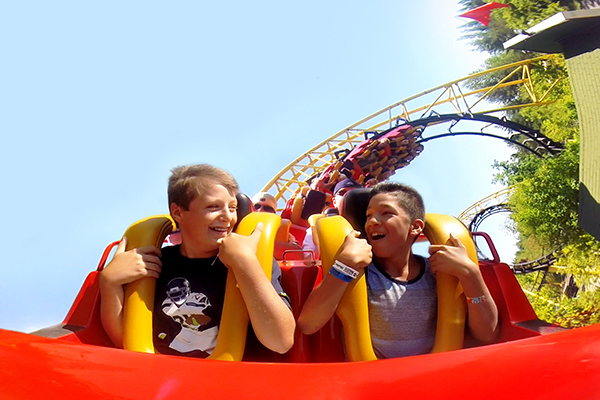 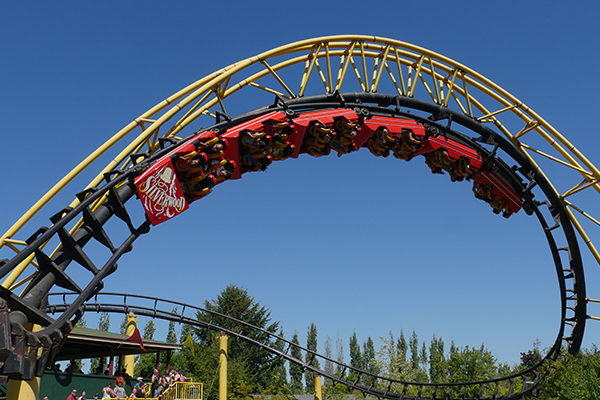 Originally opening at Knott's Berry Farm in 1975, the Corkscrew was the first modern inverting coaster. 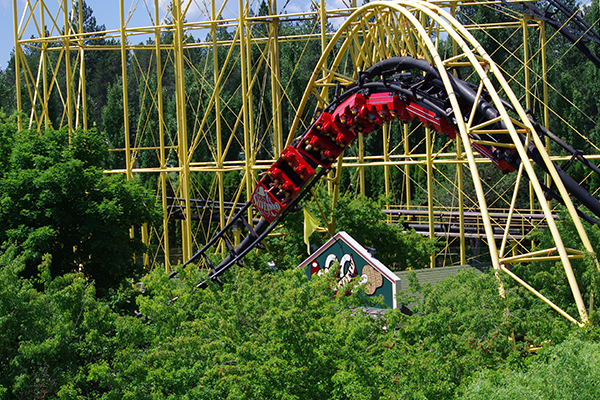 This amazing coaster was also the first to take riders upside-down not once but twice as they moved through the double helix that is the highlight of this coaster ride. 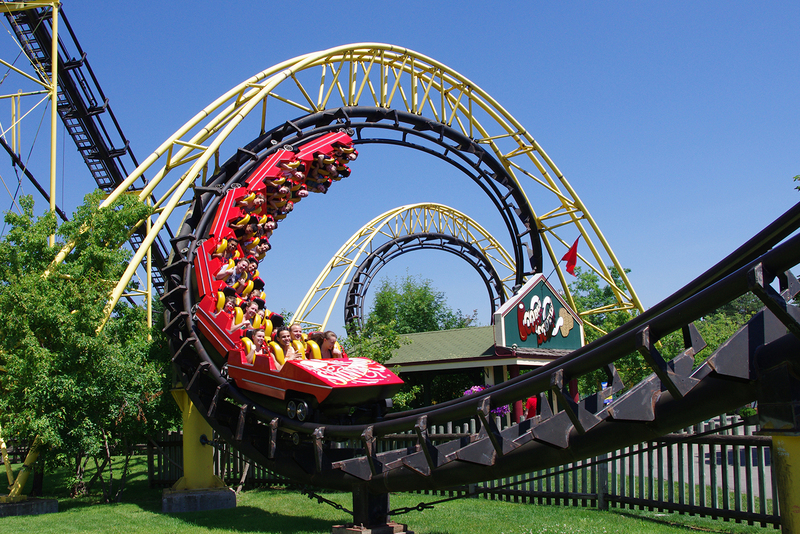 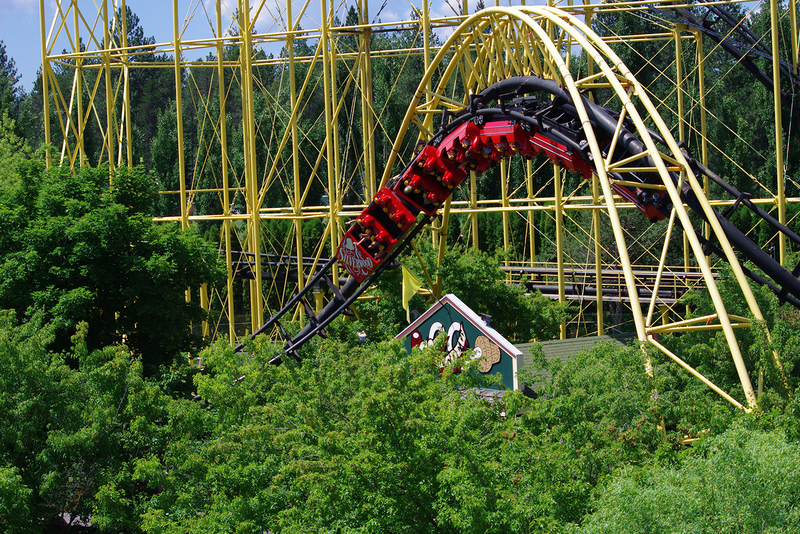 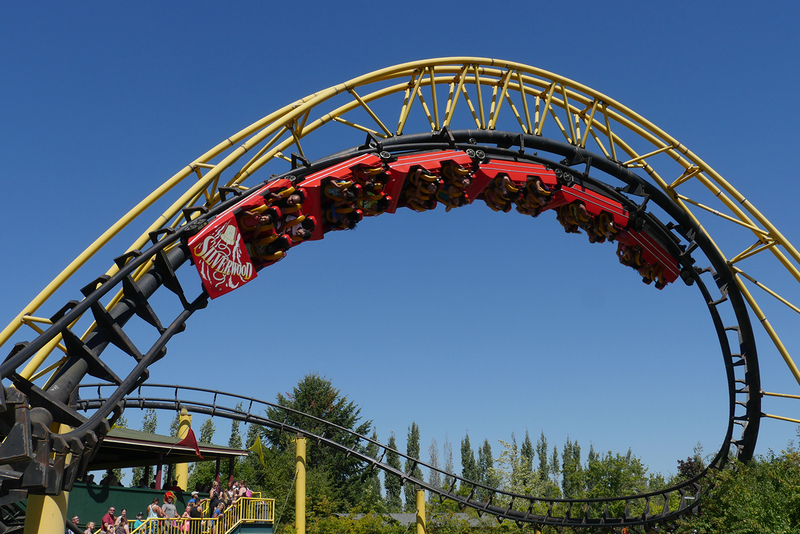 In 1990, the Corkscrew found its new home here at Silverwood and continues as a little piece of history and a thrilling ride that people will enjoy for a while to come. 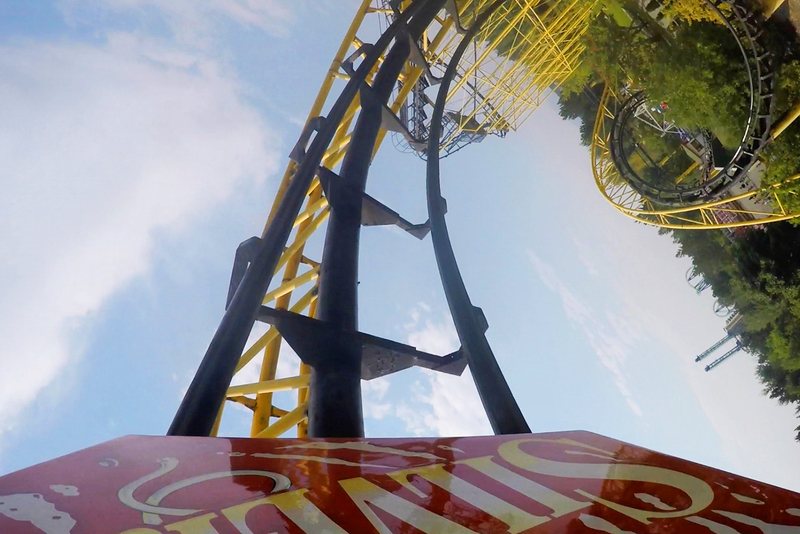 Turning out of the station, you climb straight up 'til you are 70-feet high. 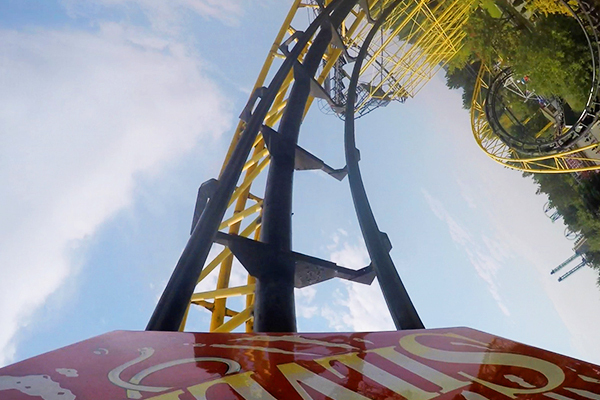 You take a short dip, which is really just a shadow of things to come, turn again and then plunge down the hill. 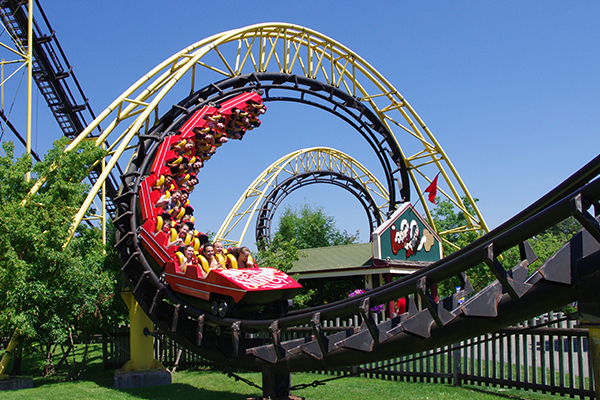 You are whipped around one more turn going upside-down through the double corkscrew, and then you are brought back to the station.